I noticed a few members unsure of how to post pictures using ServImg, and having been on other forums with tutorials like this, I thought it might be a good idea. Hope that's ok. These are screenshots using my phone to access the forum. It may look slightly different depending on your device. Step 1: Click this image at the top left of your post window. 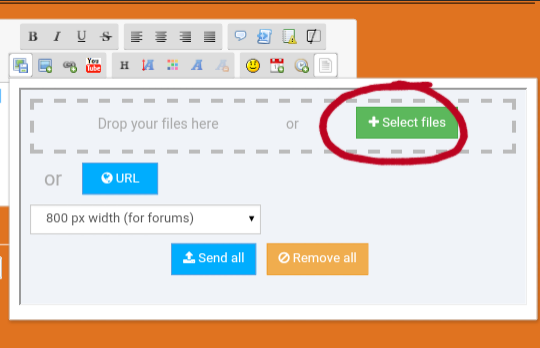 Step 2: Click on "Select Files." 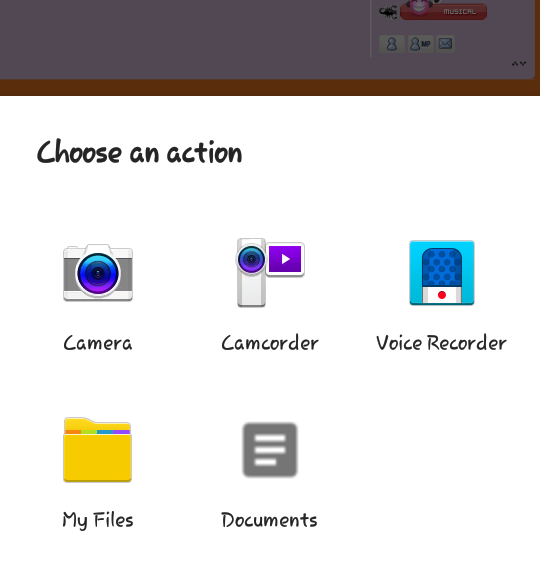 Step 3: Choose "My Files" to access pictures you've already taken or "Camera" to take a new shot. Step 4: Choose your image. At this point you can repeat steps 2-4 to add more pictures or you can continue on to the next step. 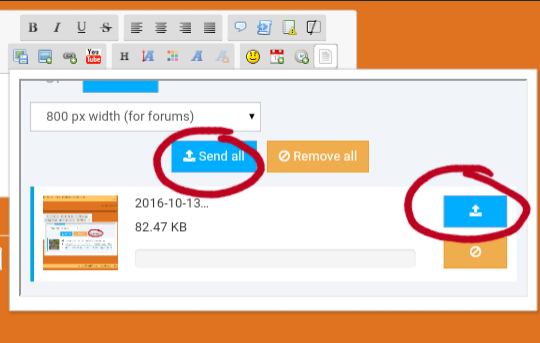 Step 5: Click on the Send Icon or the "Send All" button. 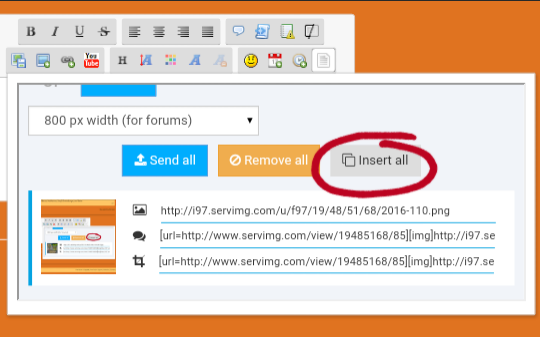 "Send All" is easiest if you're uploading multiple images. Step 6: Click on the "Insert All" button. 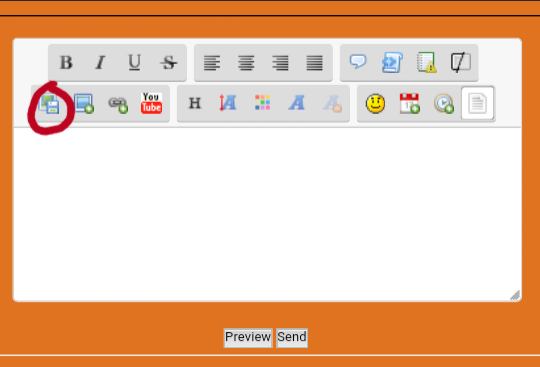 Step 7: The image code/s will then be inserted in your post window. Finish typing your post and send as usual. Thanks, CallaLily! I've pondered making one of these but always put it off. I am having trouble signing up, any tips? I can't find the register screen area and when I search up how to create an account it says I have to sign up for something else? Any ideas? 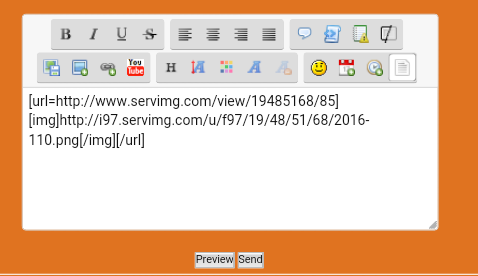 Signing up for ServImg? I'm pretty sure you just use the email and password that you used to register your account on the forum. Yep, it's the same username and password as this forum. I tryed that but it said incorrect email or password. Do you know if I have to make a new account on there? Because there is only a log in screen and I can't find the actual sign up screen to make a new amount. Thanks for the help! It has to be the ones you registered with, if you changed either after joining, ServImg won't have changed. Have you tried the forgot password link? I'm not sure there's a way to create a new ServImg account without just creating a new forum account. When I hit forgot password and type in email I am currently using for this forum it says that my email does not match as a members email. Is there any other ways to uplo photos? Or maybe I could just upload a video or something? Are you sure that's the email you registered with? You didn't change it all? It HAS to be the email address and password that you registered with regardless of what it currently is. 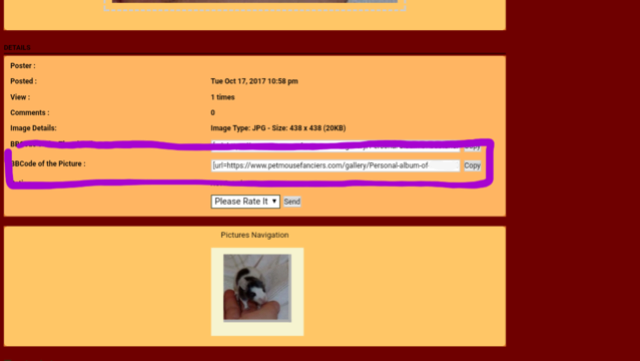 We do have a gallery on the forum that you can use to host your pictures, it's just a bit more work. 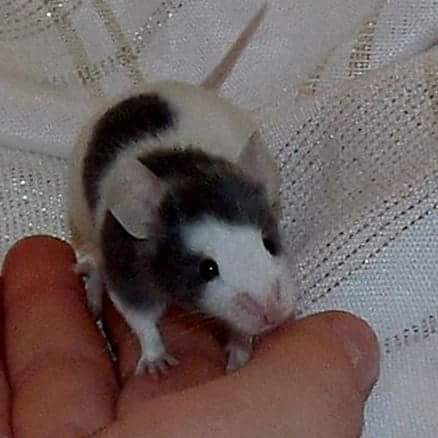 Go to petmousefanciers.com/gallery. 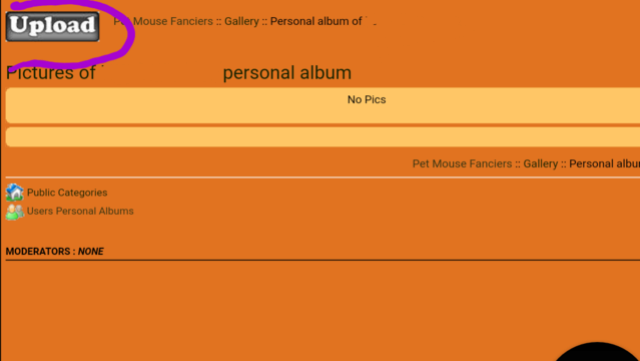 Then you have to create a personal album and upload your pictures. 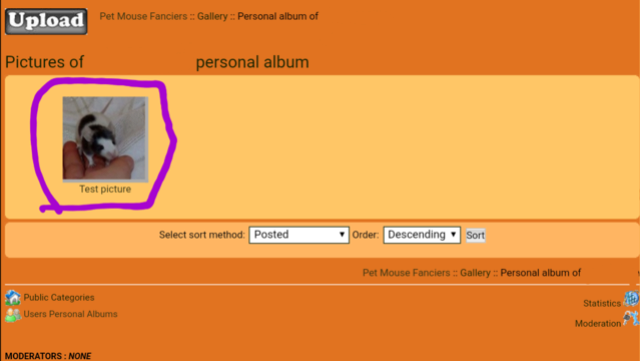 1.Click on "Your Personal Album" to view your album. 2. 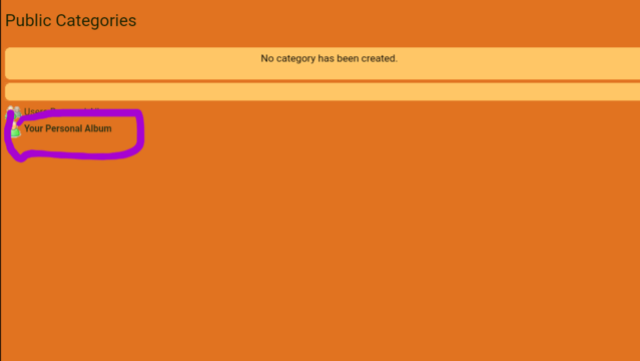 Click on "Create Personal Gallery." 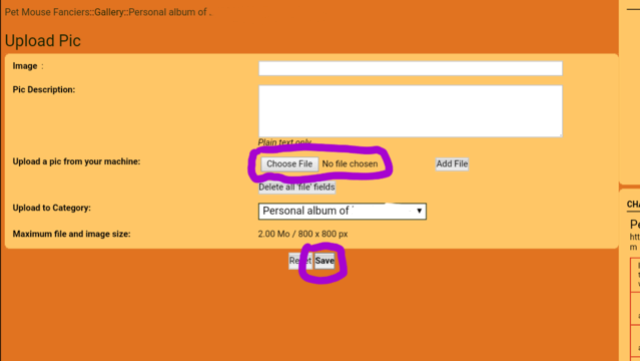 4.Click on "Choose File" to choose the picture you want to upload. 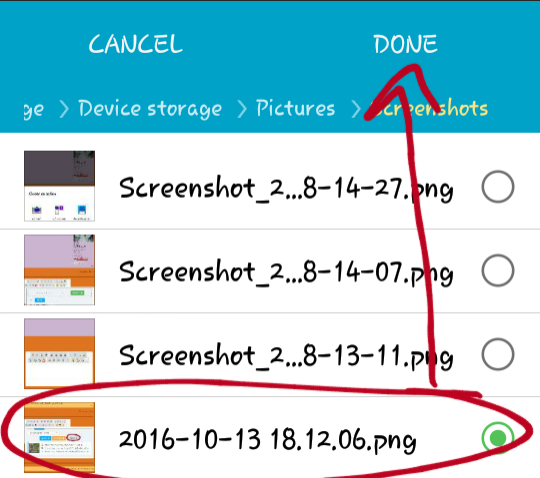 Clicking "Add file" will allow you to upload multiple pictures at once. Click "Save" to save it in your album. 5. Click on your picture to view its details and codes. 6. Copy the "BBCode of the Picture" and paste in your message. Thank you Peachy I will try! Also thanks for all the help!